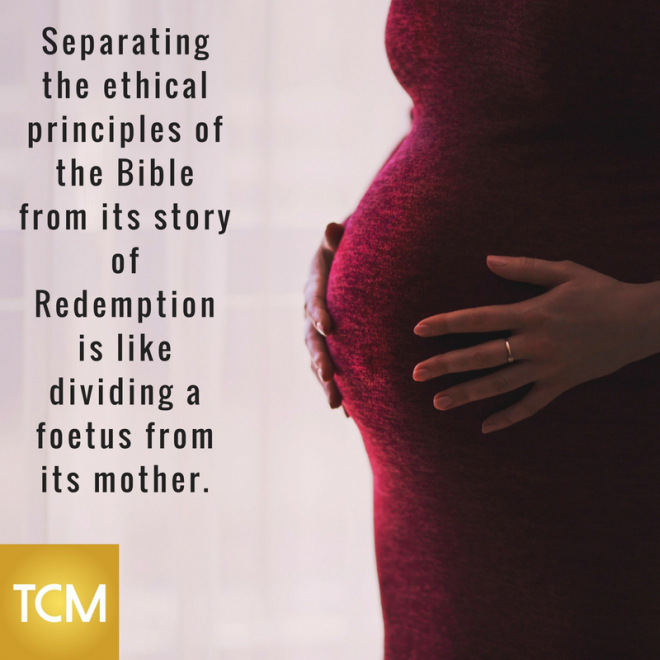 Ethics is crucial, and the Bible has a lot to say about it. Marriage, Trade, Parenting, and Politics are just some of the areas for which we can find some scriptural guidance. Nevertheless, these principles are communicated within the unfolding of the story of redemption – the narrative of God restoring his kingdom on earth after humanity’s rebellion. Therefore, every moral principle should be understood and taught in light of this grand story. If we fail to do this, we debase the Bible into a mere collection of rules and principles, and we transform Christianity into Moralism.